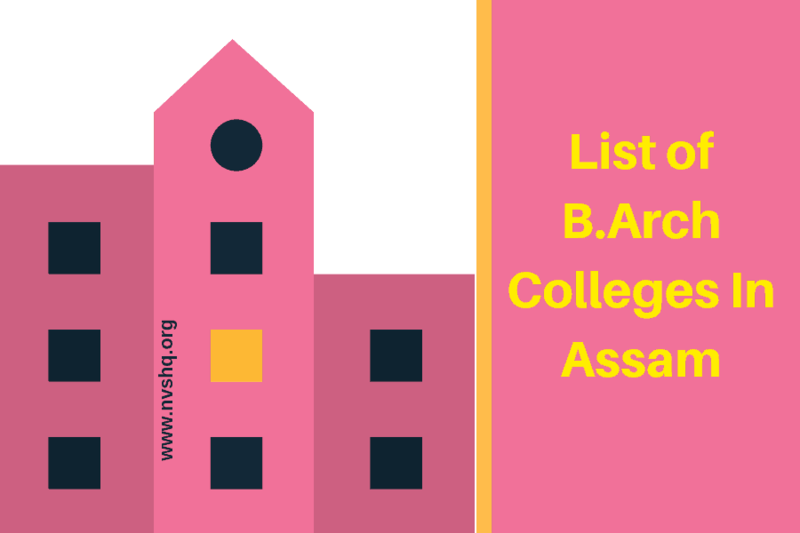 List of B.Arch Colleges In Assam: B.Arch. stands for bachelor in architecture the student who is looking forward to this course he or she has to first give an entrance examination which is NATA (National Aptitude Test in Architecture). This course consists of 10 semesters and the candidate who has PCM in class 12 only apply for this examination in the best way. After this, the candidate has to fight an entrance examination to get admission in the architecture colleges in India. Computer-based teat which is conducted online – aesthetic sensitivity test. Address: Bulandi Bhawan, Zoo Road (opp, AIDC) Guwahati Assam. Address: Betkuchi, Guwahati Assam India. NOTE- The above colleges are all possible known list of the State Assam, the best colleges are only two, however other local colleges/universities list are also there, but we cannot 100% guarantee on details given above as all the details were not found please visit the official website for more clarity of the respective colleges.